Looking for Alternate Dates? Or Just Want to Customize This Tour? Do not hesitate to give us a call. Our expert tour staff will guide you in the right direction. Guaranteed departure for minimum 6 travelers. Please consult with our travel agent for groups of less than 6. 6. Arrangement: planning, handling, operational and communication charges. 4. Our tour package does not include Travel Insurance. We recommend that you purchase Travel Insurance to help protect you and your trip investment. The prices listed above are in US dollars, per person, based on the double occupancy. The prices shown above are not valid during the China’s National Day Holiday, Chinese Spring Festival and some large exhibitions like Canton Fair. Some tour packages feature few shopping stops in the itinerary, each factory /store visit takes approximately 45 minutes. No min purchase needed. 1) Rates are in U.S. funds, per person, based on double occupancy. Tour cost includes fuel surcharge. U.S. and China air taxes & fees (include 9/11 security fee) are listed clearly for your note. Please note airline fuel surcharge, U.S. and China air taxes & fees are beyond our control and therefore subject to change without prior notice. 2) Air transportation in conjunction with land tours, based on the applicable airfares on participatingcarries, subject to the rules and regulations of the class,fare and service of the individual airlines. Due to special contracted net agreements, supplements or credits for air deviations may NOT be equal to published airfare differentials. 3) Transpacific Airfarearesubject to change and any increase in airfare is not included in the tour fare. Depending on airfare class differences, the airfare may be non-refundable and subject to full cancellation penalties. 4) Air seats are limited, add-on airfares are subject to change until ticket issued. Foradd onfrom specific US domestic cities, please contact our agent. 5) Tour extensions may not includeweekendsurcharge. ChinaTour.com endeavors to follow the itineraries precisely: however, if flights are not available at the scheduled time, ChinaTour.com reserves the right to modify the air and land arrangements from smooth operation of the tour. 6) All prices listed above are per person in U. S. dollars based on double occupancy. If three adults need to share one room and the third person asking forextrabed, the third person’s price will be the same as others. 7) Children 11 years and under who share a room with two adults and do not ask for an extra bed will be charged the listed child fare or 75% of the regular adult price; if they need an extra bed in the same room with two adults, the cost will be 90% of the regular adult price. Children 12 and older will be charged at the regular adult price. 8) Early depart or late return is allowed, the ticket change fee is $50 per person each time, in addition to airlines surcharge for different air class and weekend if necessary. 9) Please contact agent for your preferred airline, additional cost may apply. Additional baggage charges may apply. 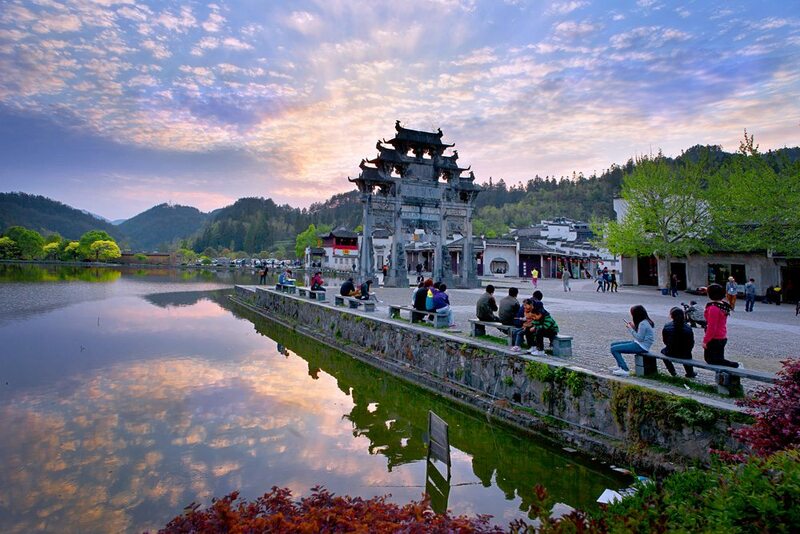 Today you’ll begin your Anhui sightseeing tour! As the sun moves across the sky, the scenes of the ponds will appear colorful, crystal, or emerald, like many emerald gems spread over the valley. 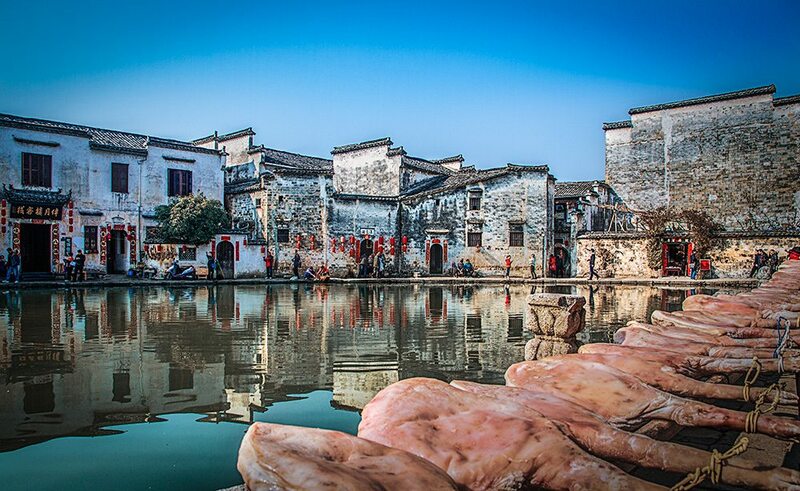 Today we’ll visit Hongcun Ancient Village, which was added to the list of the World Cultural Heritage sites by UNESCO in late 2000. It is also where scenes for the Oscar-awarded movie “Crouching Tiger Hidden Dragon” were shot. Then we’ll visit Xidi Village, all the buildings there exemplify the local architectural style, with exquisite carvings and symbols of its time. We can enjoy the beautiful fall colors in Tachuan Village. We will drive to Tunxi at the end of the day and stay overnight. 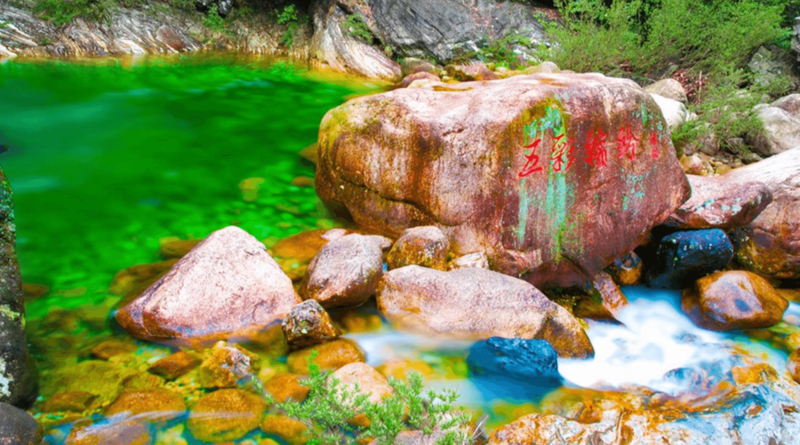 After breakfast, you will visit Huashanmiku Scenic Area, which is famous for its grand and mysterious grottoes. Here, you can explore the mystery of ancient grottoes of a thousand years. Then we will return to Hefei. What Souvenirs Should I Buy in China? What are the Benefits of Travelling?